T-Mobile is starting off the year with a bang! First with the launch of the HTC Nexus One, then T-Mobile confirming exclusivity for the HTC HD2 in the US, and now insane deals on current handsets. With the current upgrade price changes for the Nexus One, comes even more great news. Thanks to one of our trusty tipsters, starting tomorrow T-Mobile will be offering discounts on some of the hottest handsets. Those are some freakin’ awesome deals! Remember, these deals are effective starting tomorrow, January 15th! Sound off in the comments! 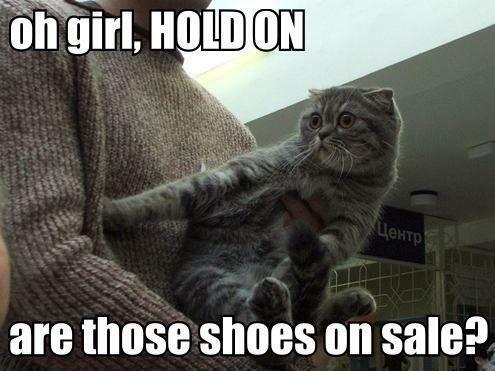 Would ya look at those purrrrity prices on dem shoes! yay! this are great news!! OMFG T-Mobile SERIOUSLY keep these Prices and price New Handsets this EXACT way and you will not only KEEP your Existing subscribers but bring in SWARMS of new ones!!! PLEASE don’t let this be a limited time offer, we all WANT you to Flourish!!!!! I wonder if there will be reduced prices for people with even more plus plans. The whole pt of the even more plus plans is that your plans are cheaper but you dont get discounts on phones. It so annoys me when those people get so upset when they dont get a deal…..Get a contract then if you want to get the discounted phones! You had your chanace and were told of the pluses and minuses of your plan. The best you can do for even more plus is go for the equipment installment plan and take 20 months to pay off your phone. Yeah, it would be cool if T-Mo were to lower the full price of all those phones in relation to the subsidized prices as well for people on, or who want to sign up on Even More Plus plans. I’m very happy with the N1 and not signing another contract though. i am going to pick my blackberry bold tomorrow then! The only decent deal I see is Dash for $50. However, I think, this could be a sign that magenta is clearing the way for some new devices, which is always welcome. G1 for $99 is laughable though, you can pick up “as-new condition” G1 on Craigslist for less then $150. How the hell are these “Insane price deals”? Most of these phones have had these prices for some time now. Wal-Mart is selling the BlackBerry 8520 for $28.88 in all Atlanta and metro Atlanta stores. $48.88 for the BlackBerry 8900. And $99.98 for the MyTouch and Cliq. too bad the touch pro 2 is out of stock! Radio Shack has the Cliq for $79.99 on a 2 yr contract. Second, to those complaining how 3rd party locations have phones for cheaper like Wal-Mart. Yes I see where you are coming from, but some times you think selfishly instead of from a business perspective. If you were selling Item X that you provide in your own store for $150… would you not find it smart to do business with wal-mart… and offer your item for half the price even, because of it being out in the open to tens of thousands of people more a day then ever would have seen it just selling it at your store? Even more so.. if you sold 20 items at your store.. if you could get more sales by putting your 4 hottest items at that walmart by lowering each of those prices… would you not? If you see at Wal Mart then buy it, other wise shut up and go to T-Mobile and pick it up. u are so righ………clap clap!! Discount retailers beat T-Mobile’s official online pricing? Shock! These are welcome price drops, even if you can get them for less elsewhere. The best part is that they reduced the full retail pricing on some of the phones too! The G1 is now $369, reduced by the same $30. EM+ customers usually get screwed. Yes, they’re choosing to forgo discounts, but let’s be real; technology is known for dropping in price pretty quickly. There’s no reason for an EM+ customer to have to pay the same “full retail” price the phone had when it came out, even after the discounted price has been adjusted downward multiple times. But if the manufacturing cost hasn’t fluctuated since the phone came out and T-mobile is still purchasing the phone for the same cost from the manufacture it would make sense that they couldn’t discount invoice prices without losing money on the handset which is the entire point behind EM+. What’s more is that if HTC offers a G1 to T-mobile for a price but only if they buy 10,000 units, and the subsequent demand for the said G1 has diminished as a result of new handset launches. T-mobile will likely need less than the 10,000 units required to get a price break causing their price per unit to go up making it even more ineffective financially to discount the EM+ pricing on handsets. Cute picture, rub its belly for me. hopefully they will more than likely keep these prices for a while…im goin 2 t-mobile 2morro for an ew fone. motorola cliq or a samsung behold 2 or highlight…idk. Kickstar13, when is this deal going to end? As of yet we do not know. But we’ll let you know as soon as we find out! I suspect these prices will last as long as the price war, that has just arrived in case you did not notice, subsides or at least calms down. Verizon and AT&T are slugging it out (I assume everyone has noticed the commercials on TV). Sprint and T-Mo are not slashing prices since their prices are already lower than the Number 1 & 2 carriers (in size). In other words, since T-Mo can’t attract customers with its price plans (because there’s no more slashing left, as much as I’d like to see a data plan go back to $10 a month. LOL.) it can only now start working on discounting the handset discounts. And data prices. But keep in mind T-Mo does not have much room to play with here. I still stand by my prediction in August (in a magazine article I wrote). What will see is migration to two simple plans, both unlimited, that include data and talk. Individual unlimited plans and family/multiple line plans. Handsets will be sold at subsidized prices or one can choose to pay full price (but on payments.) This is as T-Mo is doing and I see that as the way of the future, assuming T-Mo’s competitors see it catching on. As I said before… enjoy. I dunno about you, but it’s nice after paying carriers probably what totals to $75,000 to finally be getting a break. Excuse the misuse of “it’s” where “its” was the proper form and also the grammar errors. In a rush and did not proofread. Sigh, no rest for the weary. 1. Can upgrade fee be waived if customer has corporate discount (like AAA)? 2. How long is this sale on? Your activation fee will be waived but upgrade fees are not waived with corporate discounts. TMO needs to lower the full price on the BB 9700!!! Also, offer customers a ONE year option. Why is the cat speaking English if he lives in Russia? for people complaining about 3rd party retailers…. walmart, best buy and other companies buy the phones from the manufacturer which means they could do whatever they want with them price wise. walmarts goals as always is just to get u in the store and purchase something else with a ridiculous markup. Just remember that you might not get offered corporate discounts such as being an employee of certain companies, university students, AAA members etc…. for those of u that dont know these companies get you a 10-15% discount off your monthly service AND waive the $35 activation fee on all lines that you activate. 3rd party retailers just get commission for activations thats why they are willing to drop their prices so low because the money is not in the sale of handsets. Plus, depending on what store and what manager if someone is willing to bring in business by activating a couple lines, the store will work out a deal or even price match but if and only if its a legit deal and your not some douche bag committing fraud trying to activate couple blackberrys. My suggestion to people, activate at a corporate store just to be sure everything is set up correctly on your account and so you can get activation fee waived if you qualify for a discount. On upgrades, go to the 3rd party retailers because corporate stores can not and very rarely will waive the $18 upgrade fee. Also the price of a phone can not be touched, discounted or price matched for an upgrade. I know some of you complain and say “well i’ve been a customer for such a long time blah blah blah” Complain all you want but im telling you reality and how the game works. Which is also why im suggesting going to a 3rd party to get your upgrades so you can save $$. thats my $.02!